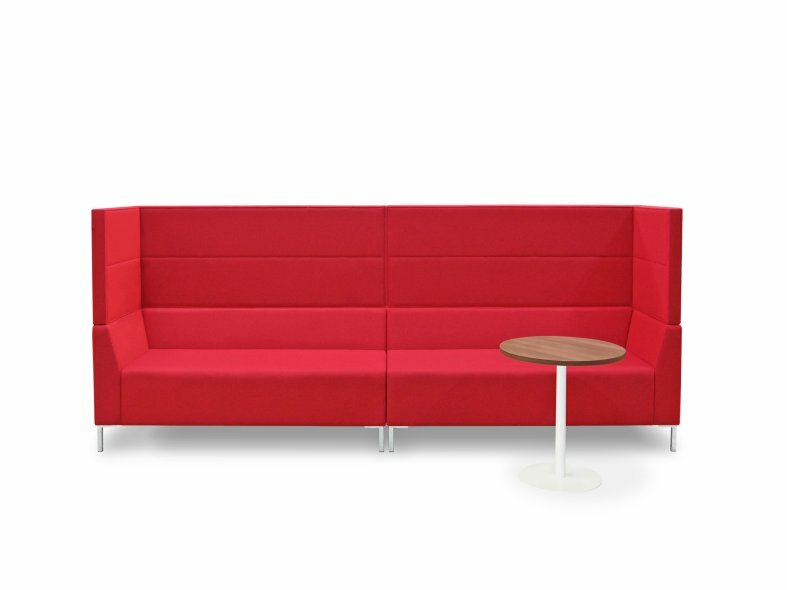 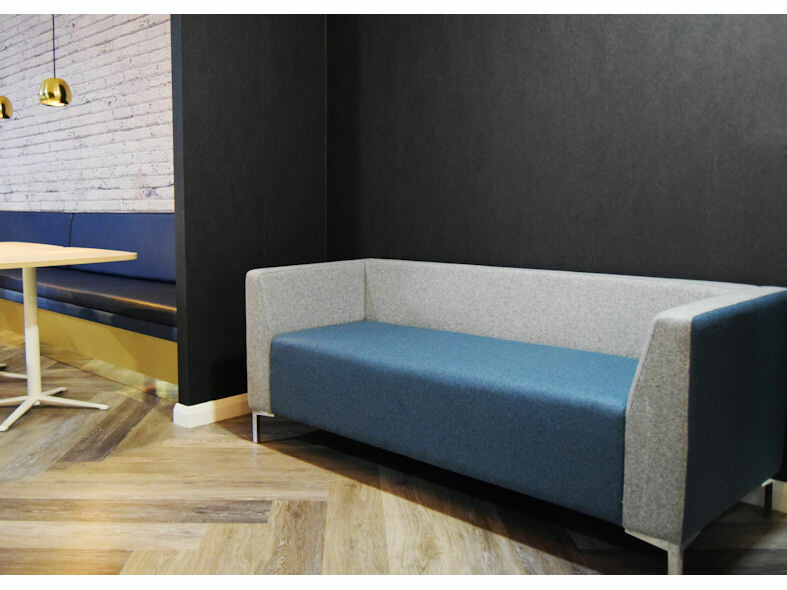 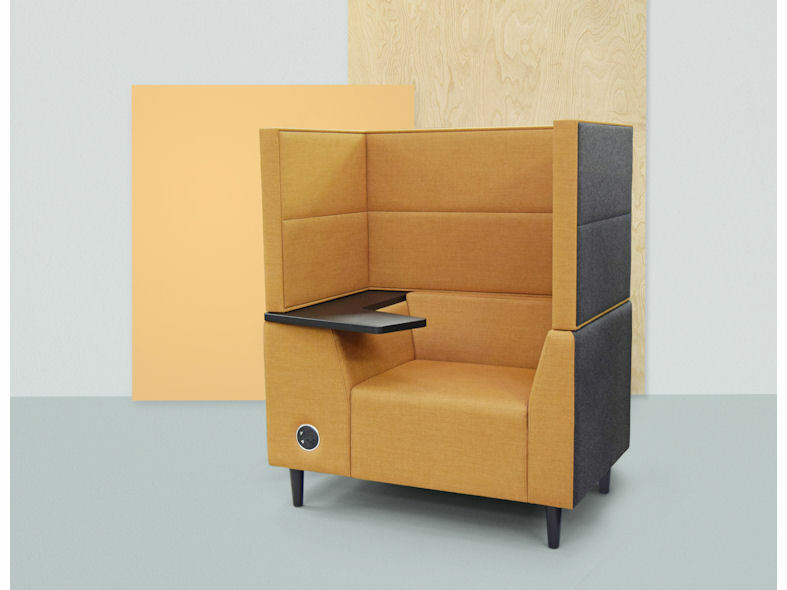 The Arny Lite range takes its aesthetic cues from its big brother, Arny, but utilises a compact footprint to fit into situations where space is at a premium, and offers a more formal sitting position. 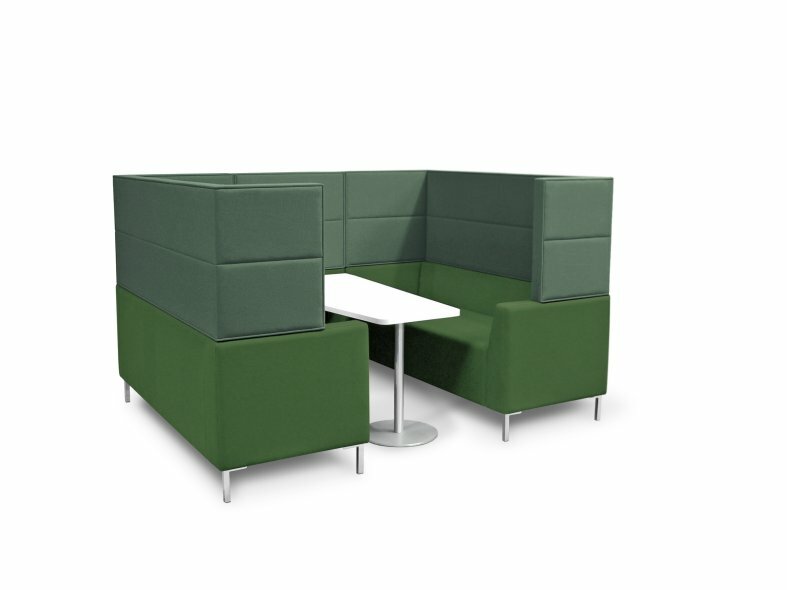 Available in three height options: a standard low height or with added privacy panels at a mid or high level. 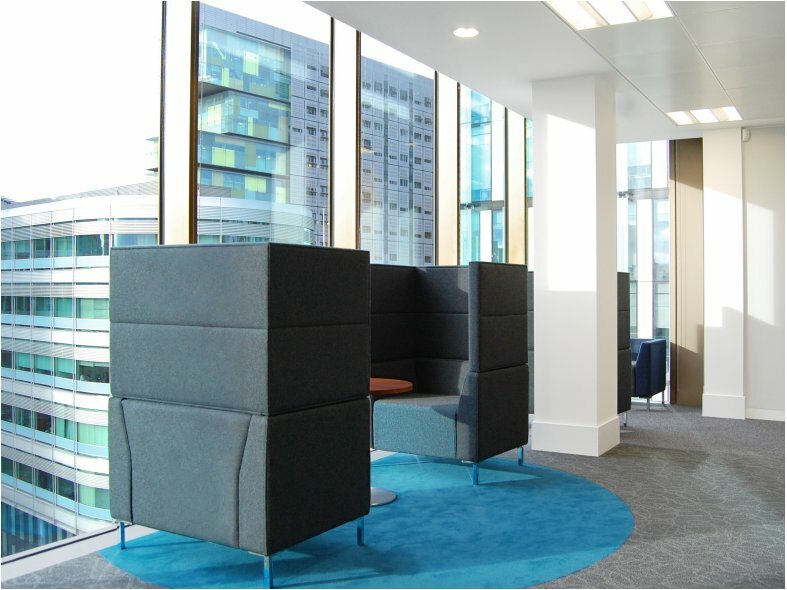 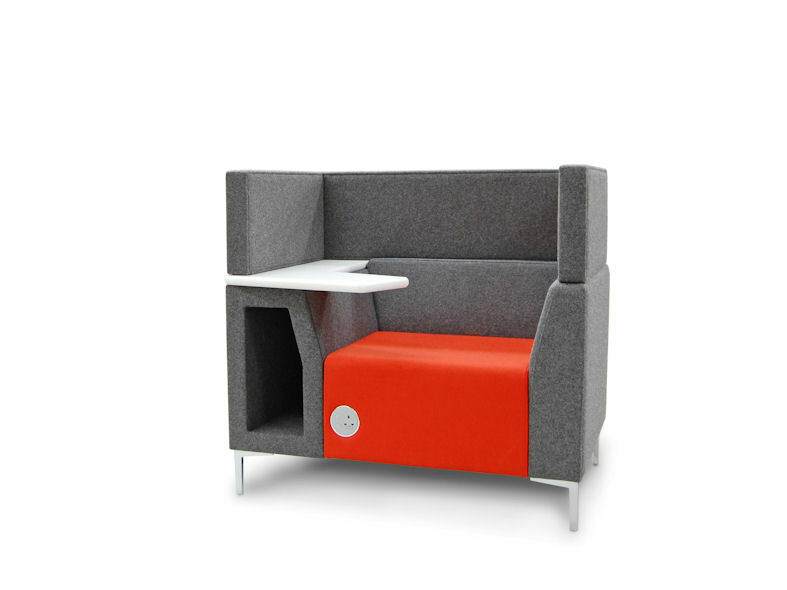 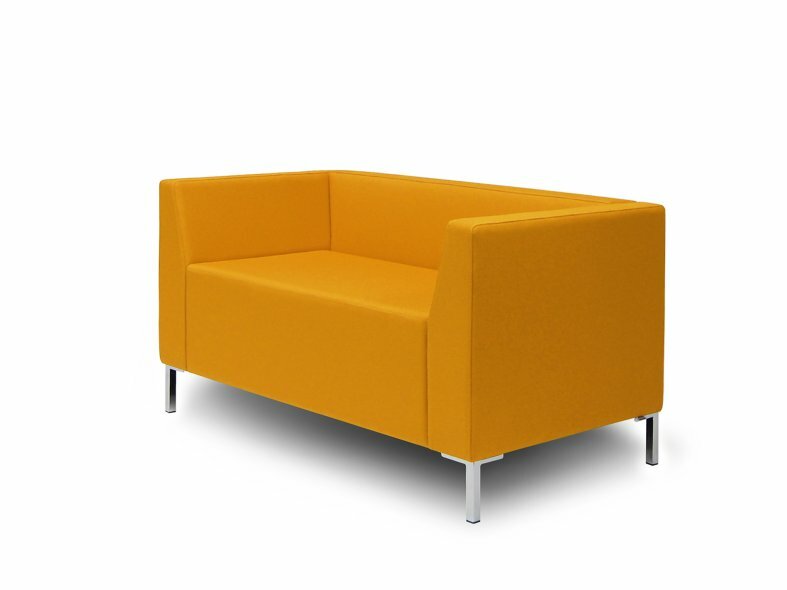 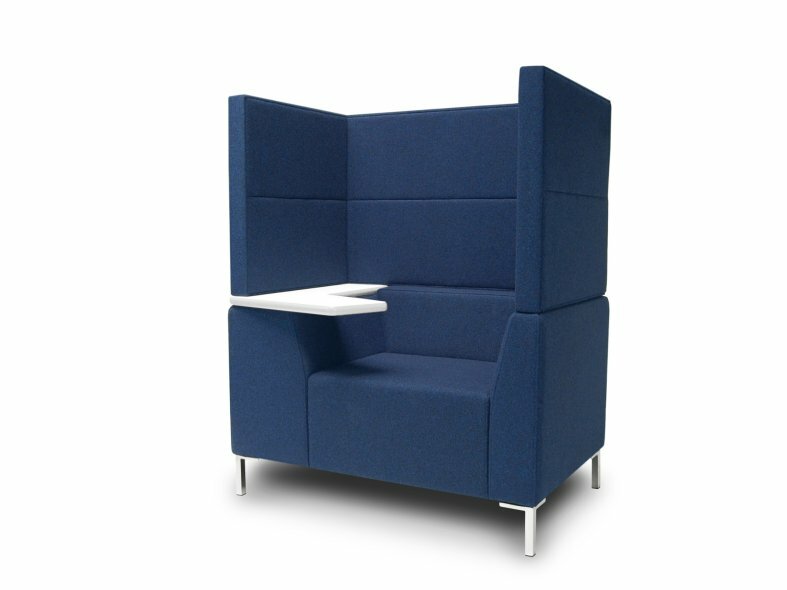 Various versions available including as an armchair with or without a writing arm, two or three seat sofas, corner units or as an enclosed booth.